The First House represents the beginning of life, childhood, health, environment, personality, physical stature, character and general strength of any horoscope. The Lagna also represents the native’s position in life. It is considered to be the most prominent house due to its inter-connectivity with other houses. A person is entitled to achieve success and failure depending upon strong and weak Lagna and its association with other houses. Ascendant or Rising Sign arises where the first beginning star shines. Zodiac sign seen at the eastern horizon on the birth of a child is considered as First House of the horoscope. If you have life then only you would be either blessed or cursed. There are 33 karakas for First House and mainly body parts, hair, happiness, fame and disease-free body are important. First House is basically the house of “Self”. That means it represents body and physical appearance. It represents our upper part of the body like face structure, features, head, mind etc. It is governed by Aries sign in Kaal Purush Kundali. The natural ruler of this sign is Mars. Satyacharya says that First Bhava indicates good and bad results, infant mortality or problems arising in childhood, sad and happy moments, and residence in the country or foreign land. 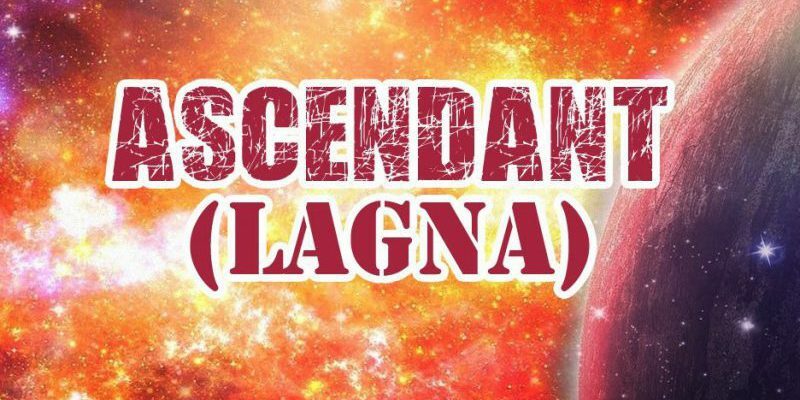 Name, fame, reputation in the society are seen through Lagna. Higher learning, higher studies, long journeys, life in hostel while studying, connection of children with strangers and foreigners (especially with first child) is judged through Ascendant. Bhattothpala says in “Prasnajnana” that birth, health, happiness, virtues, suffering, one’s form and complexion, age and longevity must be investigated from First House. First House refers to the temperament, peace of mind, happiness, sorrow, inclination towards your work, tendency to insult others, worldly outlook, physical experiences through five senses, asceticism, sleep, dreams, knowledge and attitude towards others’ money, antecedents, old age, dignity, politics, tranquility, pride, skin, avarice, insolence, arrogance, discontent, cattle, decorum, state of an object the querent is interested in, sea journeys and much more. In Mundane Astrology, whole country is considered as an Ascendant, which signifies the people, state or locality for which the horoscope is being casted. In Horary Astrology, First House represents the “Querent” (The person asking the question). 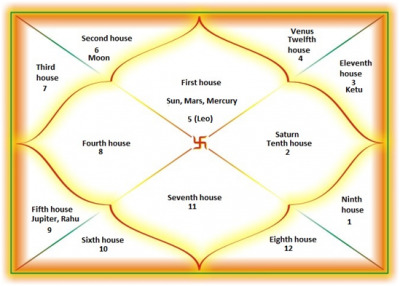 The other significations of First House can be correlated with other houses. It represents the loss of family wealth also. If you are consuming your family wealth in order to make yourself fit and fine, that indicates you are losing your wealth. It also points out to your health. Hence, you may use family wealth for treatment as well. It basically represents the hospital bills, court fees and additional expenses. It is the house of gain for your siblings and own self through your skills, efforts and communication. First House represents the career, reputation and social status of your mother, higher education of your children, gurus of your children, long distance travels of your children, luck of your children, loss of your enemies or victory over enemies through your own mind. It represents loss of diseases and debts. It represents your spouse’s spouse (that means “You”), appearance and interests of wife or husband. It represents the health of your in-laws, spouse’s health, how easily you can recover from diseases. Similarly, First House represents speculation in father’s profession, fortune of your father, your father’s children (That means “You”) and their education. Lagna house also represents your happiness through your reputation in the society. It represents the happiness of your bosses through your skills. It represents efforts, communication of your elder siblings, your gain or income through your own efforts. It indicates about the finances accumulated through expenditure. First House represents your health, courage, valor, working capacity, joy and sorrow, your body, neck, throat, sitting arrangements, royal living or Government. In Lal Kitab, First House is considered to be a King for all other houses and 7th house reacts as a “Home Minister”. More than one planet in First House is not considered as a good combination, which will create a state of confusion for your mind. It will not provide a good result if there are more than one king for one home minister. If there are more than one planet in 7th house and only one planet in First House, then this combination is considered good for the native. In Lal Kitab, First House is called “Throne”. If any planet occupies space in the Lagna bhava, it will first harm its inimical planet and later on move its position to deliver results accordingly. Let’s suppose if any inimical planet is transiting in the First House. It will first destroy its enemy planet or will decrease the effect of the same. Hence, First House is valuable and essential as it represents ourselves. 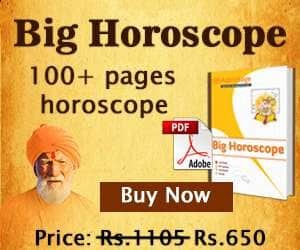 How we are representing ourselves to the outer world, our “do’s” and “don’ts” and reaction towards daily routine tasks are being notified through the First House of the horoscope.